That 'wowza' tag is well deserved. 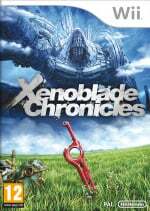 Having found itself at the centre of a huge operation revolving around its localisation, Xenoblade Chronicles certainly has a lot to prove, but judging from this artwork it's got no fears in that department. New screenshots from Nintendo show the game's party affinity system, showing how well members of your team like each other, directly affecting their effectiveness in battle. There's also plenty of shots of the battle system, with all the numbers, targets and all the other RPG delights you'd want to see in such a game. There's also a stack of new concept and promotional art for the game, which we've embedded for your viewing pleasure below. Those screenshots look... simply outstanding! I may be stupid to say this, but it looks better than MH3. Affinity showing how much your party likes each other?? Just give me the damn game! i finally regret selling my wii . GOLLY, THIS GAME SURE LOOKS FUN. So is US getting it or not!?!?! I was going to sell my Wii this weekend. Now I have doubts. now imma have to definitely get the european version. and the only reason i would sell my wii is if im gonna invest into getting a computer for gaming. Honestly. If nintendo dont release this in the US. You can search on google and find a way to make it run. All you need is an SD card and to run a ahem update then you will be able to order it from amazon.co.uk and play the game. What beautiful screens and concept art, this game looks amazing!!! Hopefully Operation Rainfall was right( and I'm sure they wouldn't lie) about this game being completed for NTSC. This generation the Wii is probably the best system for jrpgs. Xenoblade, The Last Story, Pandora's Tower, Tales of Graces, and Dragon Quest X.
i didn't know you could be the best system for rpg's while having none of those released as of now. Unless several of those make it over, we have to face the facts: even the 360 gets more RPGs than the Wii, which is pretty sad. I'm going to wait to play it on the Wii U (Hope the Wii U upscales to HD). 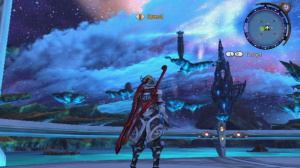 Operation Rainfall a while back reported that localization of Xenoblade was actually complete and Last Story was in development, but both were awaiting formal announcement. While I am excited to hear the news, unfortunately, I must regard it with just as much of a grain of salt as Starman.com's claims of EarthBound never seeing the light of day again. Both don't post an actual source, but just an "our source/insider" mentioning. In the interest of Internet fairness, I'll have to wait until I actually hear from Nintendo themselves. Obviously, in this case, I'm hoping it's true. You're right about that. But I know Japanese and own a Japanese Wii. So for me personally, the Wii has the best jrpgs this generation. Though PS3 is catchng up with a lot of promising titles on the horizon. Tales of Xillia, Versus XIII, NiNoKuni, etc. But the Wii U won't be releasing until after April 2012. That gives Nintendo plenty of time to release those titles in NA. Fingers crossed. I think they're doing this on purpose to tease us americans. Such an awesome looking game! Too bad I won't get to play it. I'm not even going to read this story. It's really smearing the game in our faces now, and as a forbidden fruit, I'll never know what it's truly like. If Monolith Soft could achieve that level of graphical polish on the Wii, why couldn't others too? I've already got the game all pre-ordered and I'm so ready to play it. Well, I will play this one way or another. Can't blame Nintendo. It's still basically business suicide to release these in America. Wow before I was mainly interested in The Last Story coming to the U.S... but these screenshots look absolutely gorgeous! WTF are you doing, NoA!? Get your asses in gear to localize!!! This game looks fantastic. The sense of scale is comparable to a MMO cranked up to max settings and the art and design is AAA.